I am looking at the circuit in: Apply Thevenin Theorem to a circuit with 2 sources? Instead of v_test, I presume I can place a resistor, resistance 10, and the current across the resistors should be the same for both the original circuit and its equivalent. Browse other questions tagged dc thevenin or ask your own question. 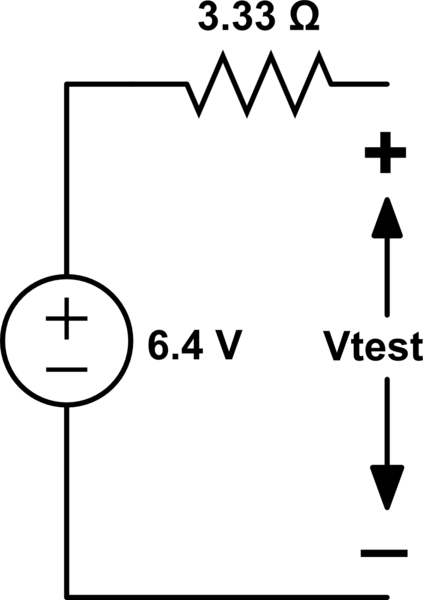 Apply Thevenin Theorem to a circuit with 2 sources? Is there any way for me to check that my Thevenin equivalent is correct?